I’ve spent much of 2016 putting pen to paper and getting plans in motion to begin working on a second cookbook. I signed on with a literary agent back in January, and together we’ve passed out a proposal, spoke with publishers and finalized a deal on a new book. So it was with great enthusiasm – for both of us – that we were able to share the news of my new book earlier this week. ‘Oven to Table: More Than 100 One-Pan Recipes to Cook, Bake & Share’ will be published by Penguin Random House in February 2019. I know it seems like such a long way off, but in the cookbook writing business, two years is about how long it takes to put a book together. My manuscript needs to be submitted to my editor in September (2017), and then we’ll spend about a year or so editing it and making it as good as it can possibly be. There’s a lot of work to be done in the next nine months, and from experience I can tell you it’s the hardest work a food writer can do, but it’s also the most rewarding. And I count my lucky stars every day that it’s work I get to do. On the topic of cookbooks, I thought it was high time I share my favourite picks from the past year. If you’re the lucky recipient of an Indigo or Amazon gift card this holiday season, you might be inclined to choose one of these titles to add to your cookbook collection. Or, if you’re looking to find new cooking inspiration for 2017, I think you’ll find something here to consider. I’ve sorted my selections by topic, and have listed them in no particular order because, quite frankly, I loved them all. It’s no secret that I’m obsessed with books – cookbooks, in particular – and buy them with the same frequency as diapers, toilet paper and earphones for my teens. (Side note: what’s up with that? Why do they get misplaced SO often?) Some people have a budget for lattes and lunches or shoes and shirts, but seeing as I eat and drink at home and forget what being fashionable even looks like, I reserve my pocket money for building up my collection of books. There is no denying the price of cookbooks has risen quite a lot in the past few years and I dare say the average price of a new purchase is around $35. Fortunately, Amazon and Chapters regularly offer discounts, and so do stores like Costco, which is where I pick up a lot of the newest titles. I shop there once a week anyway, so it’s convenient and economical. This isn’t really the point of the post though (but maybe some of you will find it helpful! ), because what I really want to focus on are the books I’ve been buying for a penny. Yes, you read that right. One cent. Christmas is one month from today. Just 30 days away. I’m going to let that sink in for a moment. Are you ready? Are you even thinking about it? As usual, I’m mostly focused on the food aspect of the holiday, and have been daydreaming about menus, baking projects, and the edible gifts I can make. After all, what’s a celebration without something delicious that’s been made with love? At least that’s what Rosie Daykin, baker and book-maker extraordinaire believes, and I’m inclined to agree with her. Speaking of Rosie, her sophomore baking book, Butter Celebrates! : A Year of Sweet Treats to Share with Family and Friends, was released earlier this fall, and this week a group of Canadian food bloggers are baking our way through the pages in effort to show our love for both her and her work. I chose to bake the Animal Cookies because they’re adorable and completely kid-friendly, but instead of cutting them into the wild shapes that Rosie used, I made mine into miniature snowflakes, snowman and Christmas trees, a little more fitting for the season, I think. The boys and their friends scooped up these nutmeg-kissed, one-bite sweets by the handful, and all 65 cookies disappeared within a day. I plan on making more to add to my holiday cookie platters, but you can be sure I’ll be hiding them deep in the freezer to keep my hungry boys from devouring them too quickly. I’ve long said that the very best thing to come of this blogging gig are the friends I’ve made along the way, and today I want to celebrate one special person in particular. 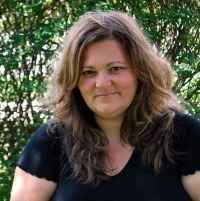 I met Amy a few years ago at the first Food Bloggers of Canada conference. She approached me during the opening night dinner and introduced herself, and I’m happy to say we hit it off immediately. Her peppy personality is unlike anyone else I know, and she exudes positivity and a down-to-earth friendliness that needs be bottled and sold in stores everywhere because we could all use a little of her infectious happiness. The mom of two young boys, Amy lives in Victoria, B.C., so it was a real treat to spend time with her that weekend, and we’ve stayed in touch since, Skyping periodically and keeping connected via our blogs and social media channels. She came to Toronto last week to celebrate the launch of her first cookbook, The Canning Kitchen: 101 Simple Small Batch Recipes, and I was thrilled to attend the event in support of her. Her book, which she wrote and photographed on the weekends over a period of nine to ten months, is a true labour of love and whether you’re a novice or experienced canner there’s something for everyone tucked into the pages of her beautiful recipe collection. She cleverly combined the traditional practice of home preserving with the tastes of today’s modern cook, and the result is 101 simple small batch recipes. I was fortunate enough to test some of her creations last summer, which resulted in stocking my pantry with strawberry sundae sauce and Southwest corn relish, both of which were crazy popular when served at a few of my summer parties. Today, I have Amy’s recipe for red pepper jelly for you. I chose this one to share because it’s made with five ingredients, and requires four simple steps, so if you’re new to canning this might be a good one to start with. Plus, you can use the jars to jazz up a simple cheese and cracker platter if you’re entertaining this season, or tie some twine and a sweet notecard around the neck of the jar and hand them out for hostess gifts when you visit a friend’s cottage or cabin this summer. Also, thanks to the kind folks at Penguin Random House, I have one copy of the book to giveaway to a reader. To enter, simply tell me how you feel about canning. Do you love it? Or maybe not so much? What is your favourite thing to preserve? I have to admit that I’ve been bitten by the bug in recent years, and find it thoroughly addictive. Contest closes on Sunday June 21st at 6pm. I’ll draw a name at random and update this post with the winner’s name later that night. Good luck, all! 1. Rinse the peppers under cool running water. Coarsely chop the peppers, discarding the seeds and stems. Place the peppers in a blender along with 1 cup (250 mL) of the vinegar. Purée until smooth. 2. Pour the purée into a large, heavy-bottomed pot. Stir in the chili flakes. Bring to a boil over high heat. Reduce the heat to medium and simmer, uncovered, for 5 minutes. 3. Stir in the pectin powder and remaining 1 cup (250 mL) of vinegar. Return to a full boil over highest heat. Stir in the sugar and return to a boil again, stirring frequently. Maintain a full boil for 2 minutes while stirring. Remove from the heat. 4. Ladle into 5 clean 250 mL (1 cup) jars, leaving a ¼ -inch (5 mm) headspace. Process in a boiling water bath canner for 15 minutes using the Processing Checklist on page 17. Updated: Congratulations Joy! You will receive an email regarding the book giveaway. Now that rainbow-coloured carrots are readily available at most of my favourite grocery stores, I'm adding them to our dinner plates regularly in hopes of convincing my boys that roasted carrots are a thing to love. My theory is that adding a burst of bright colour to the dinner plate makes the meal more fun, and therefore more interesting to eat. Sadly, they don't see things quite the same way, and are firm in their position as cooked carrot haters. However, the adults in the house love them, and this season we've been enjoying them bathed in a bit of olive oil and honey before they hit the oven. Once baked until golden brown and tender, they're hit with a small dose of dukkah (an Egyptian spice blend) and served with a side of spicy aioli. The idea for this recipe came from Tara O'Brady's brilliant new book Seven Spoons (you can read a brief review here). I didn't change much about her recipe because it's pretty perfect as is; there's both colour and crunch, and a touch of sweet paired with a generous dose of heat. The kids may not be crazy about it, but we are, and if you're looking for something simple yet sophisticated to serve at a dinner party this season, this dish has you covered. I happen to have a copy of Seven Spoons available for giveaway thanks to Penguin Random House. To enter, just leave a comment telling me what you're cooking this week. It's that simple, just like these roasted rainbow carrots. Winner will be selected at random on Sunday May 11th. Good luck! 1. Preheat the oven to 400°F. Make the dukkah by toasting the nuts, seeds, and spices in a small skillet set over medium heat. Toast each ingredient separately for 1-2 minutes, or until lightly golden and aromatic. Transfer to the bowl of a food processor or a mortar and pestle, cool completely, then process into an unevenly textured mix. Season well with salt and set aside. 2. On a sheet pan, toss the thin carrots with the olive oil and honey, then season with salt and pepper. If the carrots lean towards the thicker side, slice them in half lengthwise, like I did in the photo above. Roast the carrots, turning once, until browned and tender, 15-20 minutes. 3. While the carrots are roasting make the aioli by combining all of the ingredients in a small bowl and stirring well to mix. 4. Arrange the roasted carrots on a serving platter and sprinkle with as much Dukkah as you'd like. Serve with a side of spicy aioli. Books, Books, Books... and More Books! Today, I’m offering a different kind of weekend links post. Instead of directing you the articles that have caught my attention this week, I’m sending you to check out the books that have had me completely captivated the past few weeks. So pour yourself a cup of tea/coffee and be prepared to take some notes, because I’m certain you’ll want to add a few of these titles to your own cookbook collection. I can’t remember the last time I was so enthusiastic about a book release season. This spring I’ve immersed myself in the latest cookbooks to land on my desk, and instead of binge-watching TV shows, I’ve been curled up on the sofa poring over the pages, reading the headnotes, introductions and acknowledgments (weirdly, one of my favourite parts of a book), and I’ve run out of sticky notes after bookmarking the many recipes I hope to make. Speaking of books, this Saturday (May 2nd - tomorrow!) I’ll be visiting Eat Your Words, a cookbook bookstore here in Toronto, in support of Canadian Authors for Indies day. Over 600 Canadian authors will be visiting independent bookstores across the country and I’m thrilled to be participating. I’ll be there from 11AM – 12:30PM, so if you’re looking for something to do this weekend, come visit! 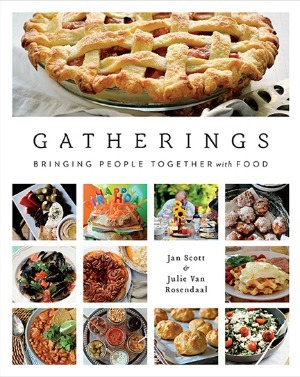 We’ll be talking about food, spring entertaining and books, and I’m coming armed with some special treats from Gatherings, which also happens to make an excellent Mother’s Day gift, and I’ll happily sign copies for you and/or your mother, or anyone else that you think might like the book. Now, back to the books that have been inspiring me this season. This collection of new titles is so motivating I’ve yet to find a permanent place for any of them on my new cookbook bookshelf because I’m using and reading them so frequently there’s no point in putting them away. Seven Spoons – The much-anticipated first cookbook from the author of the popular food blog Seven Spoons is finally here, and I couldn’t be more excited about it. I’ve long been an admirer of Tara’s, for both her writerly stories and creative, crowd-pleasing recipes, and her book delivers both in spades. I’ve bookmarked too many recipes to count, and expect to become a better cook after working my way through the pages of this beautiful new Canadian classic. Real Sweet – This came across my desk late last month, and I’ve been smitten with this naturally sweet baking book since I first flipped through the pages. Written in Shauna’s charmingly funny and self-deprecating style, this ‘more ‘hip’ than ‘hippie’’ collection of recipes is guaranteed to turn out a ton of sweet treats I’ll feel good about feeding to my kids. Shauna has developed more than 80 crave-worthy baked goods all made from natural sugars like honey, maple syrup, agave nectar, coconut sugar, muscovado, and more. She also cleverly coaches readers on how to use these sugars in their baking, and provides tricks for converting our own favourite white-sugar recipes into something a little less refined. Doesn’t this sound like something you need in your kitchen? The Picnic Book – This adorable book is easily the cutest one in my collection, and I’m completely smitten with this guide to planning the perfect outdoor get-together. Packed full of no-fail recipes, helpful checklists, and expert advice, not to mention a list of 99 uses for your mason jars and rules for scoring backyard lawn games, this whimsically illustrated guide will guarantee your next outdoor party is full of fun. Summer Cocktails – Cocktail season is upon us and I’m filling my fridge with cordials and cold-brew teas in eager preparation. Regardless of whether your plans include lounging by a pool, cooking over the grill or throwing a big backyard bash, you need to have a great drink in hand. This book features more than 100 recipes for punches, frosty drinks, classic cocktails, and party snacks, and I know I will reference it repeatedly over the coming months. Back in the Day Bakery Made with Love – The first baking book by Cheryl and Griffin Day totally won me over, and their sophomore follow-up has done the same. In this collection of decadent yet do-able recipes they’ve included more desserts, but have also added breakfast pastries, breads, pizzas, and condiments to their repertoire. Three Many Cooks – I adore food memoirs and this one by the bloggers of the same name is no exception. Written by a mother and her two daughters, their family stories form the narrative that threads together a collection of some of their favourite recipes. Food52 Genius Recipes – This book claims to change the way we cook, and while that still remains to be seen, I do think every home kitchen can benefit from this collection of some of the best recipes every published in books or on the internet. The writing is clever and the headnotes are filled with inspiring tips and tricks for making your meals better than ever. The Sweetapolita Bakebook – Last, but certainly not least, is this colourful and creative collection of sweet treats by Canadian blogger Rosie Alyea. The playful ideas in her debut book are as charming as can be, and guaranteed to inspire bakers of all levels. I’m looking forward to making her Jumbo Frosted Animal Crackers, and giving the recipe for homemade sprinkles a try. Phew! If you’re still reading I’m sending you a virtual high-five for hanging in there. Next week I’m giving away two of the above mentioned books, so be sure to come back and check out those giveaways. In the meantime, tell me, what are you reading this spring? Do you have any new favourite cookbooks you’re cooking from? Rob accompanied me to our local Chapters store on Sunday morning so I could pick up some birthday gifts for my niece. The roads were slick with snow and slush, and given my current condition he thought it best if I didn’t venture out alone. Of course, I could have managed just fine on my own, but his thoughtfulness was too sweet to overlook so I happily allowed him to chauffeur my beach ball-sized belly and I around that morning. When we walked into the bookstore we immediately bolted to the cookbook section, a new routine we put into practice back in November when my book was released. We like to take stock of how many copies are still in the store, and if the book has been placed on the shelf or if it’s sitting propped up on display somewhere (I know, so lame!). Happily, this week the book was out on a large wooden shelf beside popular names like Ina Garten, Gabrielle Hamilton, and Jamie Oliver, but what thrilled me even more was to see it resting two rows over from a stunning new publication, Brown Egg and Jam Jars, written by one of my oldest food writing friends, Aimée Wimbush-Bourque, of the popular blog Simple Bites. It’s no secret that I absolutely adore cookbooks, but when I come across ones that are written by people I personally know (and like! ), it’s such a treat to finally flip through the pages of their passion project and see the months of hard work come to life. Aimée’s book was certainly worth the wait, and her captivating stories are accompanied by many must-make recipes and flawless food photography, making this a book that will spend just as much time on my coffee table as it will on the kitchen counter. Divided by the season, Brown Eggs and Jam Jars is a love letter to Aimée’s family-focused urban homesteading lifestyle. The book features a variety of seasonal events her family celebrates over the course of a year, each of which is accompanied by her simple yet seductive recipes, nostalgic family memories, and tips and advice for building your own homestead, while keeping kids at the centre of it all. I’ve been reading and cooking my way through the pages of this top-notch family-friendly recipe collection, and my boys have quickly decided that the one-bowl carrot-spice oatmeal muffins are a new favourite snack to have hanging around the house when they come in the door after school. They’re made with wholesome and hearty ingredients, and are perfect for pairing with a glass of milk or mug of hot cocoa on a dark and damp winter day. Aimée has generously agreed to let me share her muffin recipe with you, and is also offering one reader a chance to win a copy of her fabulous new book, courtesy of her publisher, Penguin Random House Canada. How lucky for all of us! To enter: simply leave a comment telling me what cookbook you’re currently cooking from. Additional entry #1: feel free to follow me over on Instagram. I’m @jannisescott1! Additional entry #2: Like Family Bites on Facebook. The beauty of this recipe is its versatility, as it can happily accommodate almost any substitutions you like, and believe me, with the picky eaters around my table, I’ve tried quite a few variations. Oatmeal is one of the constants in the recipe and provides, in my opinion, necessary texture. Other than that, try grated zucchini in place of the carrot. Leave out the cranberries and toss in raisins or chocolate chips in their place. Go nuts with chopped pecans, walnuts or sunflower seeds; you’ll only further add to the flavor and great texture of this popular snack. The oats need to soak in the milk for 1 hour, so take that into consideration before getting started. 1. Combine milk, vinegar and oats in a large bowl and let stand for 1 hour. 2. Preheat oven to 375°F (190°C). Line a twelve-cup muffin pan or 24-cup mini muffin pan with cupcake papers. 3. Crack the egg into the oat mixture; add sugar and beat with a whisk to combine. Whisk in melted butter. 4. Sift flour, baking powder, baking soda, salt, cinnamon and nutmeg into the bowl. Gently fold into batter, taking care not to overmix. 5. Sprinkle grated carrot and cranberries into the bowl and combine muffin batter gently but thoroughly. Use a large ice cream scoop or 1/3-cup (75 mL) measuring cup to scoop batter into muffin tins. 6. Bake until light brown and tops spring back when gently touched, 12 to 14 minutes. Cool in pans for a few minutes, then transfer muffins to a rack to cool completely. Storage: These muffins will keep in an airtight container for up to 3 days or in the freezer for up to 3 months. Update: Winner has been notified via email. Thanks to all who entered!